Lorne Benson was a local Winnipeg product who graduated from Daniel McIntyre HIgh School. 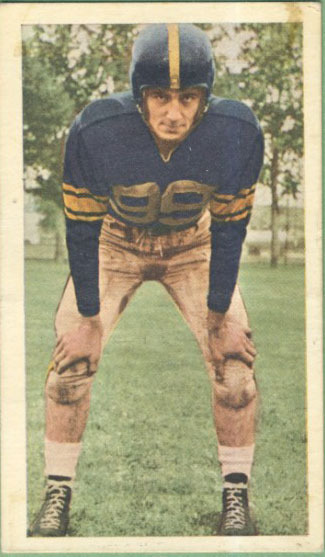 After playing junior football with the Weston Wildcats, Benson joined for the Bombers from 1951 to 1955 (he played an exibition game in 1956). In 1952, Benson was third in the West in rushing with 491 yards. 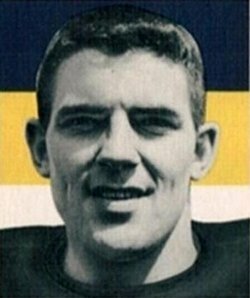 He upped his total to 561 in 1953 to once again lead the Bombers in rushing, though he dropped to seventh place in the West. 1953 was also his best year receiving as he had 20 catches for 225 yards. Like many players in that era, Benson played both offense and defense, recording an interception in 1955. 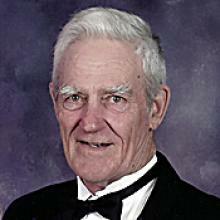 Lorne Benson passed away on April 3, 2012. No games played stats were kept in the West until 1964. The 1952 and 53 numbers are unofficial and taken from newspaper records.